Rabbi (1905-1979). Born in Hungary. Lived in Buffalo from 1953-1979. 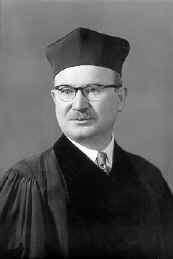 Rabbi Klein was the rabbi of Temple Emanu-El and subsequently Temple Shaarey Zedek after the merger of Temple Emanu-El and Temple Beth David Ner Israel. He had previously served as a United States Army chaplain in World War II and as a pulpit rabbi in Springfield, Massachusetts. His best known work is A Guide to Jewish Religious Practice (1979). This book, sometimes called the Conservative shulkhan arukh, is a comprehensive practical guide to Jewish practices for laymen. Rabbi Klein additionally wrote many responsa and other books, including a commentary on The Code of Maimonides, Book Twelve: Book of Acquisition (1951).